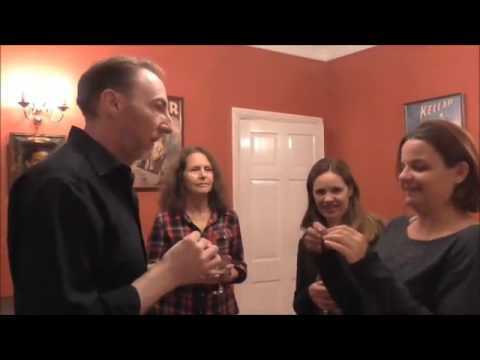 A Most Charming & Magical Card Trick That's Great Fun to Perform! Ever wanted a Genie in a bottle to help you out with a card trick that's gone wrong? Of course not, but with this fun routine by Zane the card trick does go wrong and you do call on your friend The Genie in the bottle to help you by correctly producing a miniature of the spectator's chosen card...inside the bottle! A card is selected and returned to the deck and the deck shuffled. Looking through the deck the magician announces he will attempt to find the spectator's card. He fails not once but twice! But when things seem to be going miserably wrong the magician remembers his friend the Genie in the bottle, which he calls on for help at times like this. The magician then pulls forth from his pocket (or magically produces) a tiny, clear empty looking glass bottle with a cork in it and explains to the audience it contains a little invisible Genie who will appear and help you with the trick. The bottle is then held next to the spectator's ear, which they continue to hold and the magician says, "if you listen carefully the Genie will name the card." But the spectators don't hear anything "of course" says the magician "you can't hear anything because the cork is still in the bottle!" Now comes the big surprise! When the spectator is asked to remove the cork, to everyone's surprise and amazement, smoke (Optional) is seen to now fill the once empty bottle and as the cork is removed the Genie disappears from the bottle in a vapour of smoke leaving behind a miniature of the chosen card inside. The Genie has saved the magicians face and produced the chosen card! Even Aladdin would be impressed!! Easy to Follow Instructions With Photographic Illustrations! Great Commercial Routine by Zane Included! Optional Genie Smoke Effect Explained (No Chemicals)! Optional Idea Using Flash Paper! Easily Fits in Your Pocket! Magic That Happens in a Spectator's Hands! No Magician Should Leave Home Without a Genie in a Bottle!! "This charming routine by Zane really does amaze and delight people. Get your very own Genie in a bottle now!"